Across the Globe with Issue Five. I am glad to be a part of this ezine and the experience is amazing! Well, here it is folks. Despite the world’s best efforts, Issue Five of The Paperbook Collective is here for your viewing pleasure! It has been an absolute honour and a privilege, once again, to be entrusted with the publishing of such incredible work. I am continually amazed at the diversity of work that is submitted each month, no two pieces are the least alike. It has been wonderful to see how people have interpreted the ‘Culture’ theme, I have had a fascinating insight into some incredible cultural phenomenon’s across the globe. 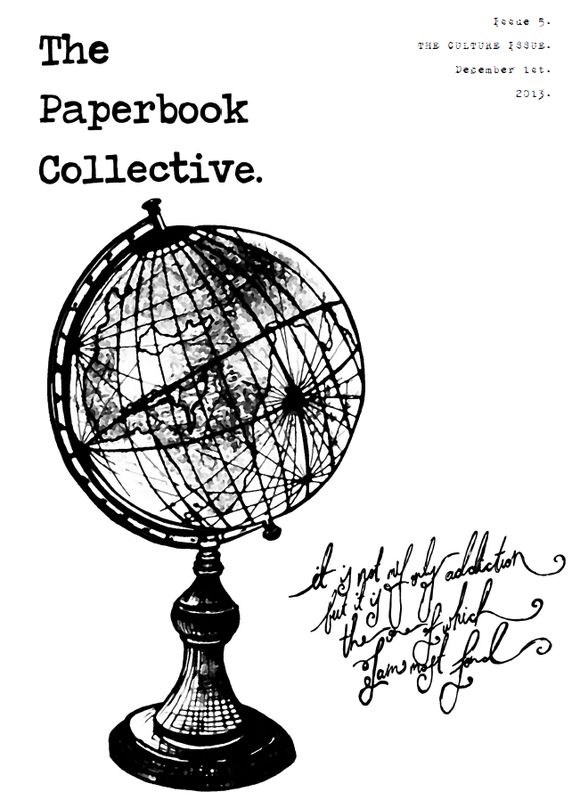 It has been quite a difficult week for me over here in my little corner of the globe, but I am thrilled to finally publish the very last issue of The Paperbook Collective for 2013. Enjoyed “Of Words.” and hope to see more. Thanks John! Indeed I wish to be a part of the mag again.